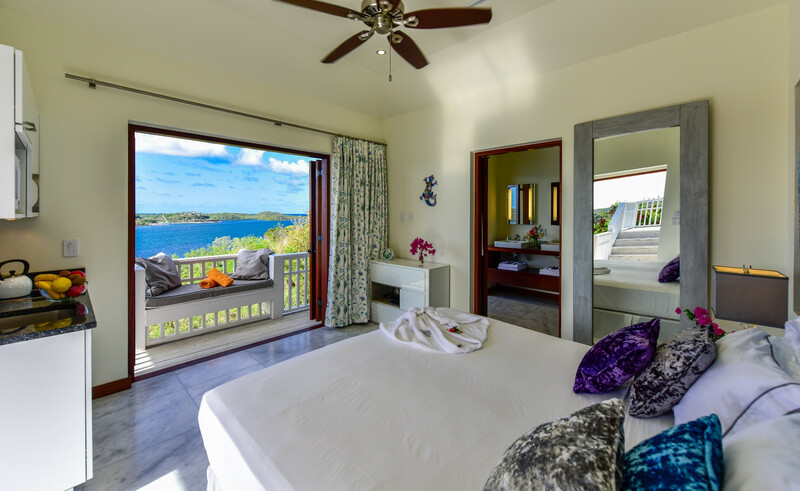 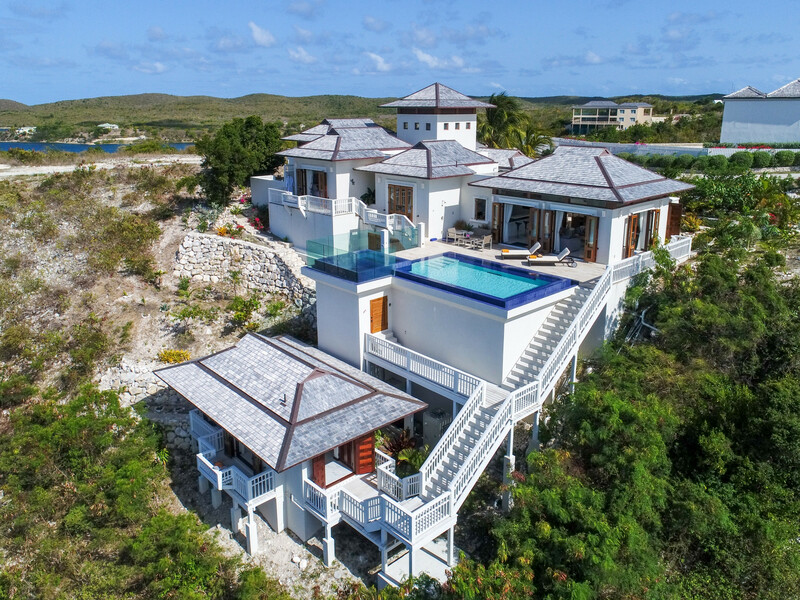 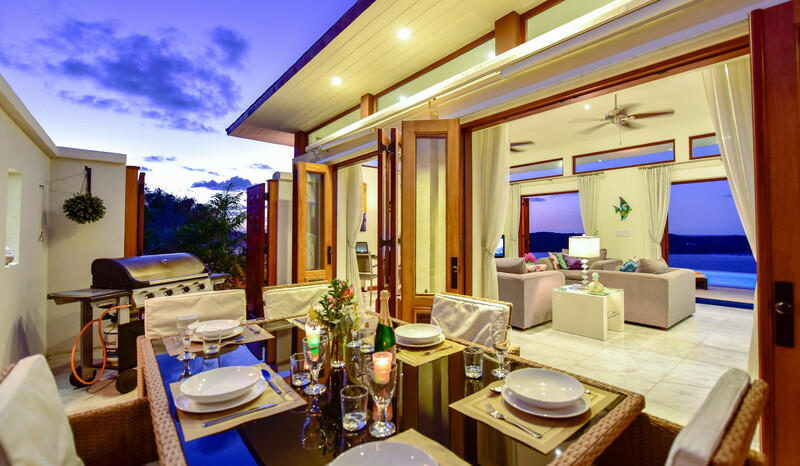 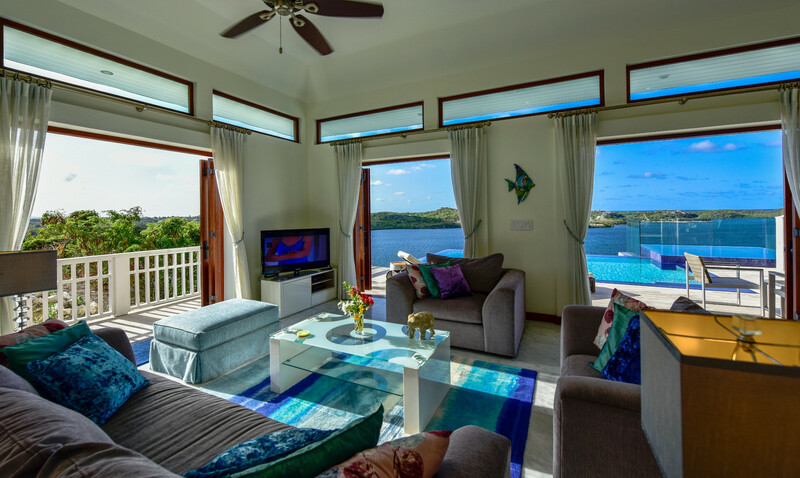 Dramatically positioned 120ft above the warm azure waters of Nonsuch bay on the east coast of Antigua, Villa Serena commands stunning views across the sheltered bay to the Atlantic Ocean beyond. 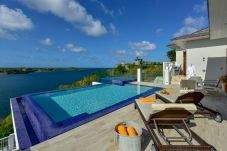 Antigua’s rolling tropical landscape completes this Caribbean idyll. 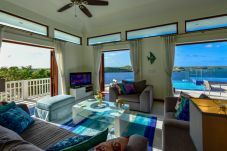 Cleverly designed to bring the cooling breeze through the property the villa is a comfortable haven. 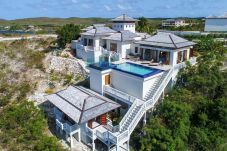 This brand new architect designed luxury villa has 3 spacious en-suite bedrooms all with showers and stunning views, try reading a book or watching the occasional super-yacht go by from your balcony love seat. 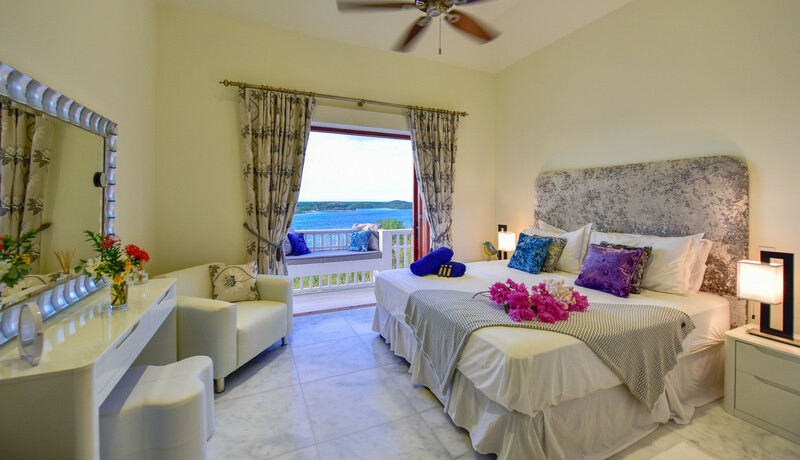 The 3rd bedroom is in a separate self-contained guest suite. 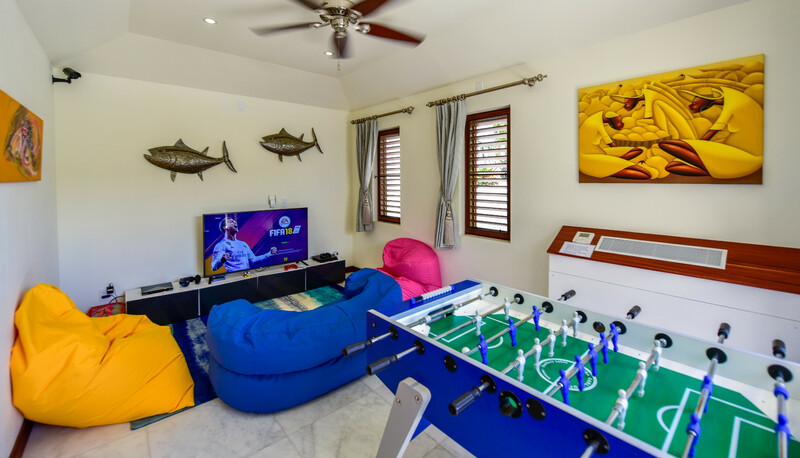 The cinema/playroom keeps the children entertained when they're not in the pool or down on the beach. 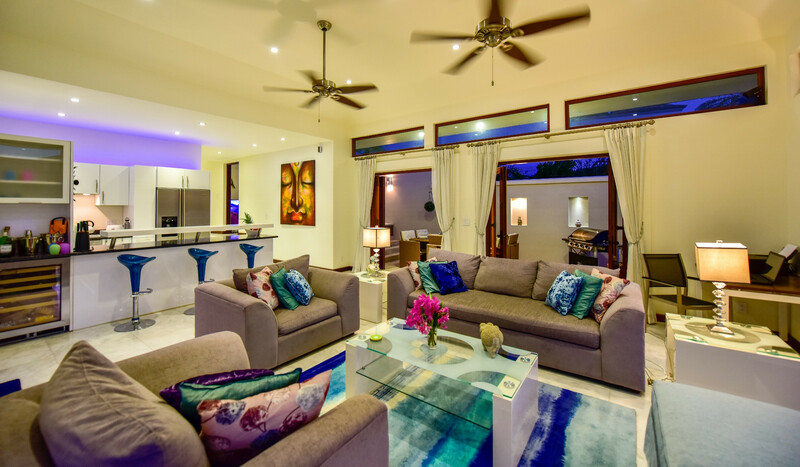 The spacious living room and kitchen area leads out to the heated infinity edge pool and elevated Jacuzzi – the best room in the house!! 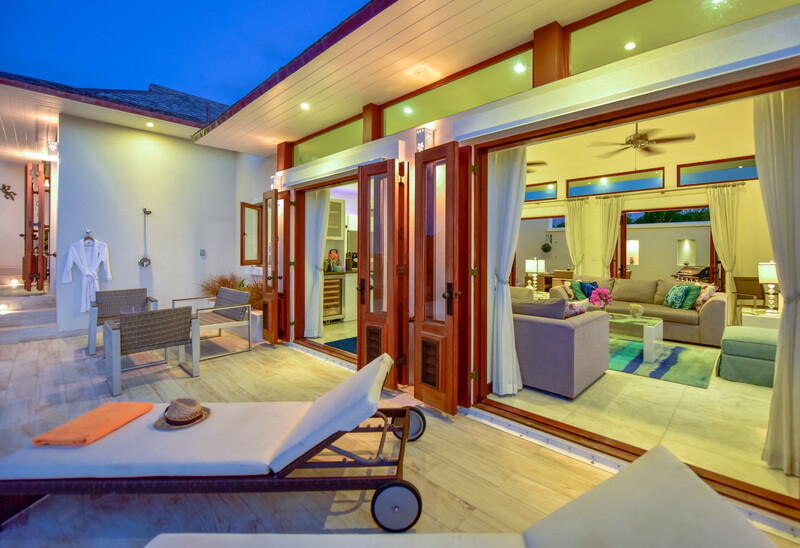 Villa Serena is a great space for socialising or just going local with some serious chilling! 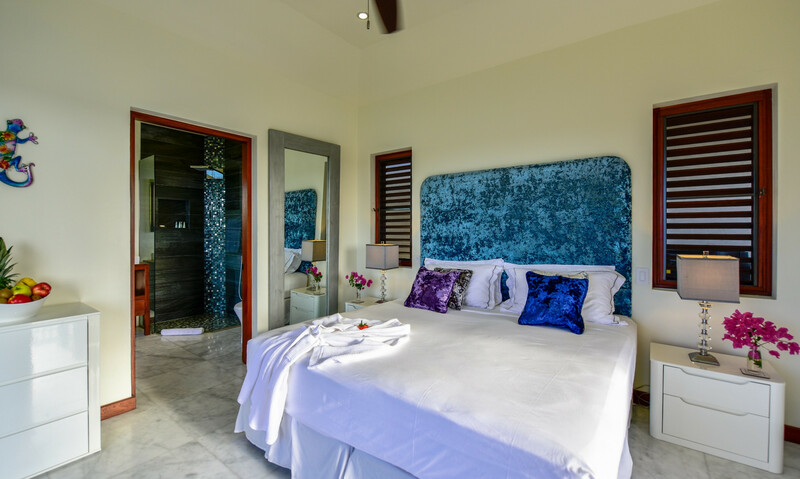 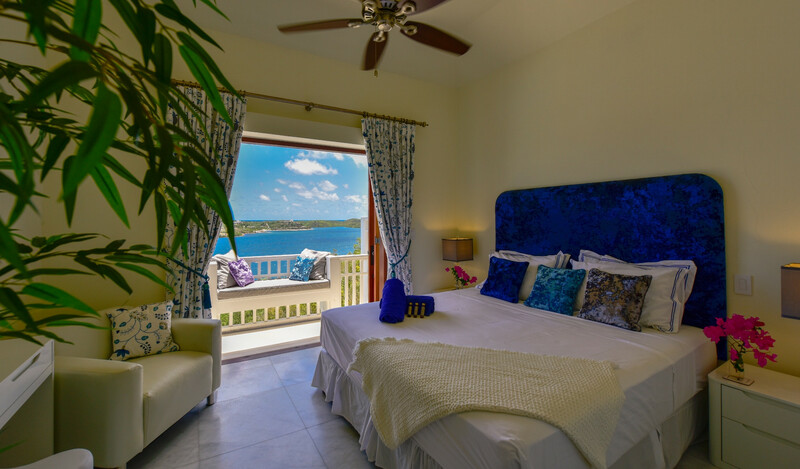 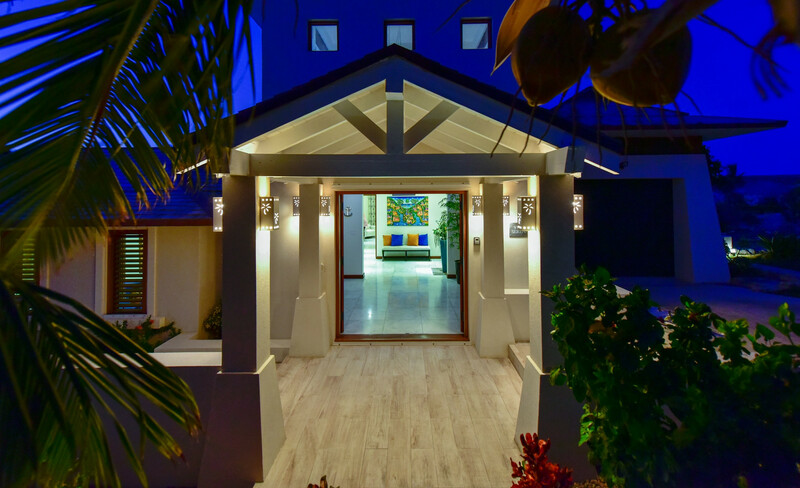 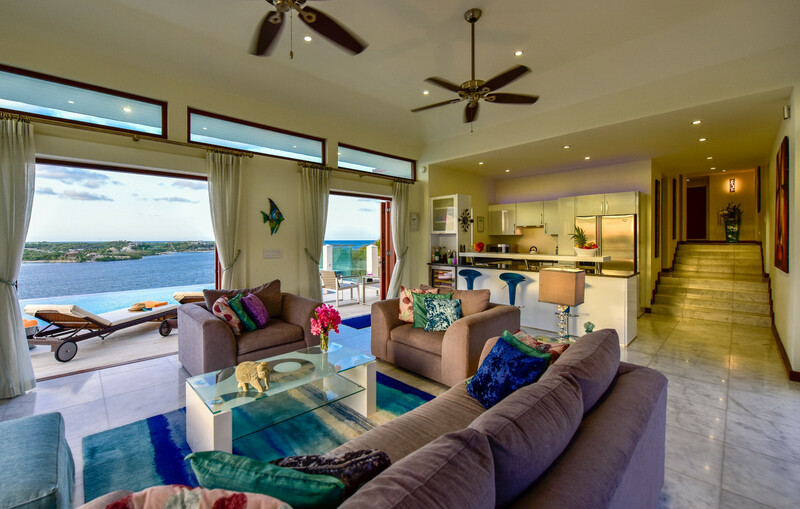 Villa Serena is set within the grounds of Nonsuch Bay Resort where guests can enjoy the clubhouse restaurant and bar, reception services, kids club, private sandy beach, 3 infinity edge swimming pools and extensive water-sports facilities. 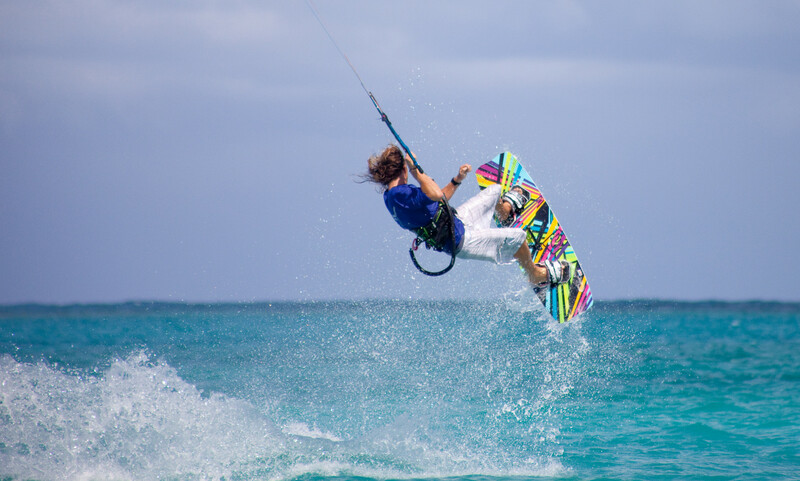 The resort boasts a sailing club with an extensive fleet of boats, the bay is rumoured to be the best small yacht sailing destination in the Caribbean. 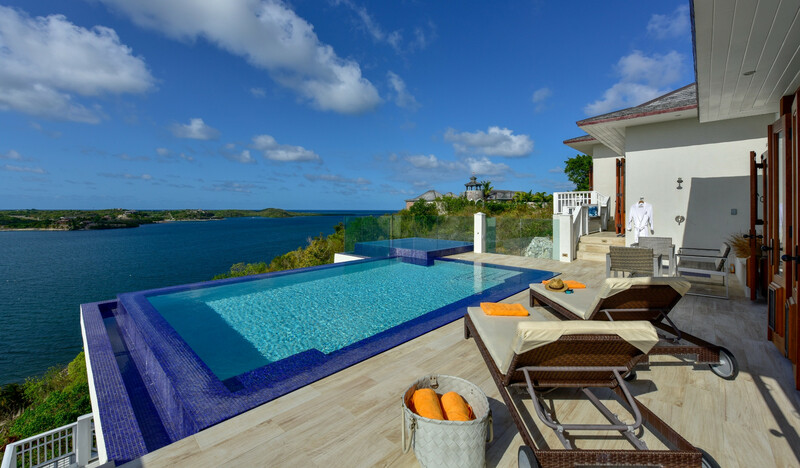 At all times we strive to give you the most indulgent Antigua experience. 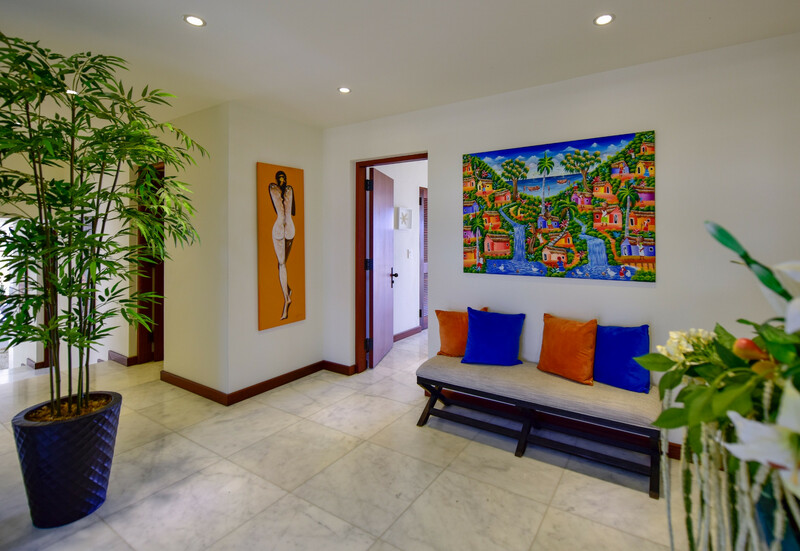 You will be looked after by service professionals with a real passion for making each persons stay a memorable one. 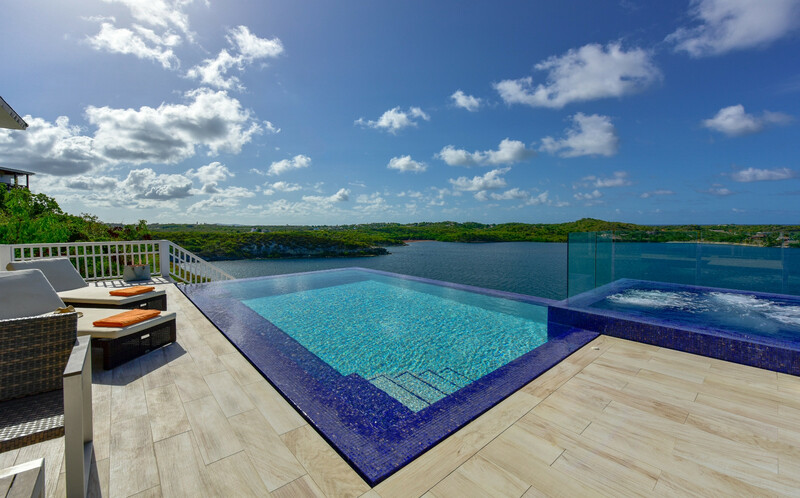 Nothing is too much trouble! 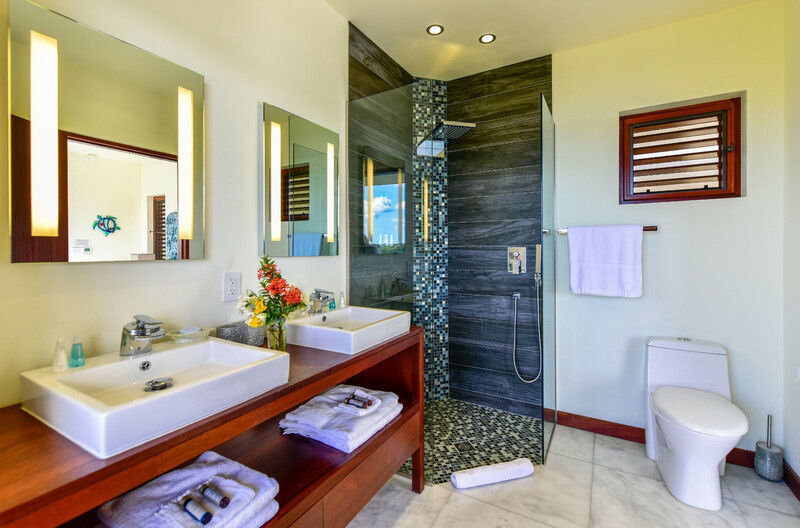 3 Bathrooms with shower, 4 Toilets, Hair dryer. 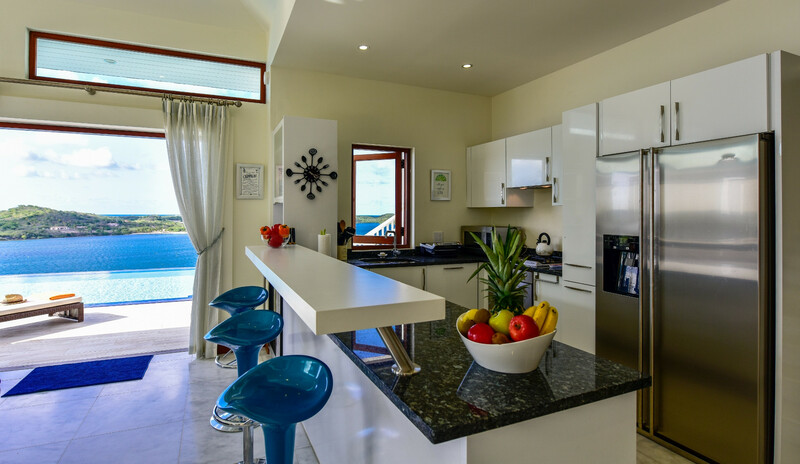 2 TVs, TV Satellite (Languages: English), Stereo, DVD, garden, garden furniture, 50 m² terrace, barbecue, mini bar, iron, safe, internet (Wi-Fi), hair dryer, balcony, childrens area, alarm, jacuzzi, 400 m² property, 3,200 m² plot, air conditioning in all bedrooms, private heated swimming pool (dimensions 9m x 5m, max depth 4.59 ft, min depth 4.59 ft), 7 fans. 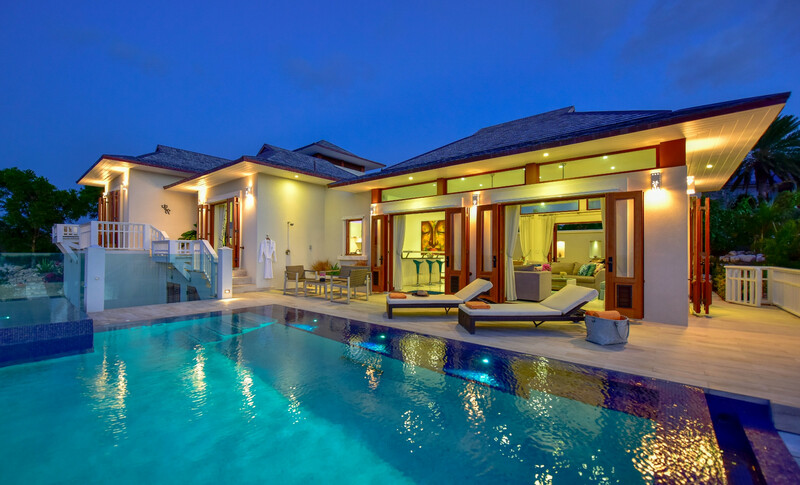 Amount: €2,000.00 /booking.Payment method: credit card hold.With the last payment.